Julia is the Marketing Coordinator at Penn Mutual Music City. She works hard to connect advisers with people in all phases of life. She takes pride in their firm, as it collectively provides practical solutions to any given financial challenge. 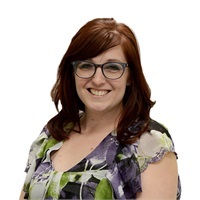 Julia is passionate about connecting with others, community involvement and further developing the family-style culture throughout this agency. In her spare time, she enjoys writing, wine tastings and thrift shopping.